Meet Nala! Rescued by the NYPD, this young dog is eager to find a loving home. Adopt Nala today! Big fan of: Hanging out with her friends! Nala is very sweet, friendly and affectionate. She gets along with everyone she meets. This gentle pup loves to curl up next to her favorite people and spend some quality time together. Although she likes to lounge, she’s also up for a game of fetch or a long walk outside. Special features: Nala is one smart girl! 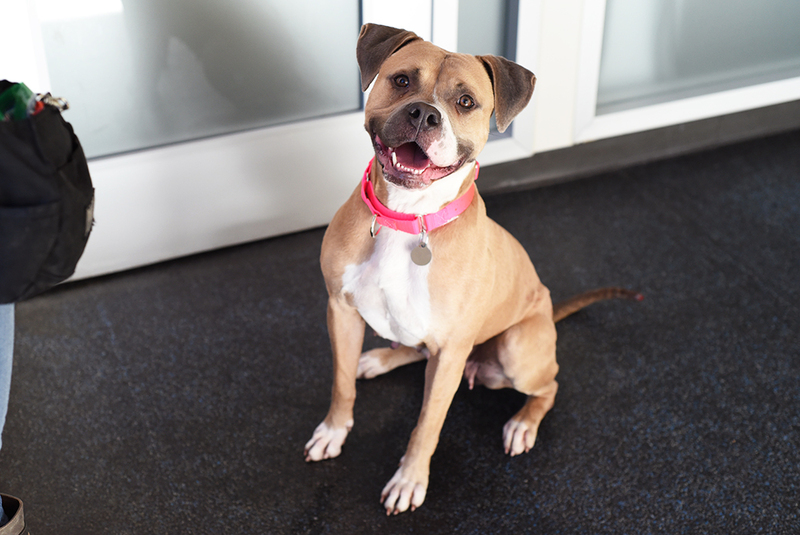 She already knows “sit,” “down,” and “paw!” In her new home, she would love to learn a few more tricks and enjoy daily exercise. With a routine walking schedule, she will quickly learn to only use the bathroom outside. 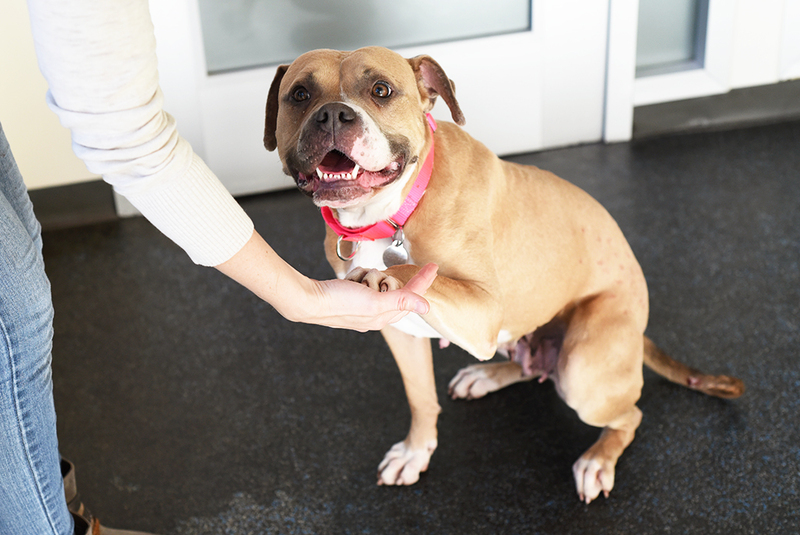 At times, Nala may bark at other dogs when she’s out for a stroll, but our Behavior team can give you some tips to help her work on this behavior. 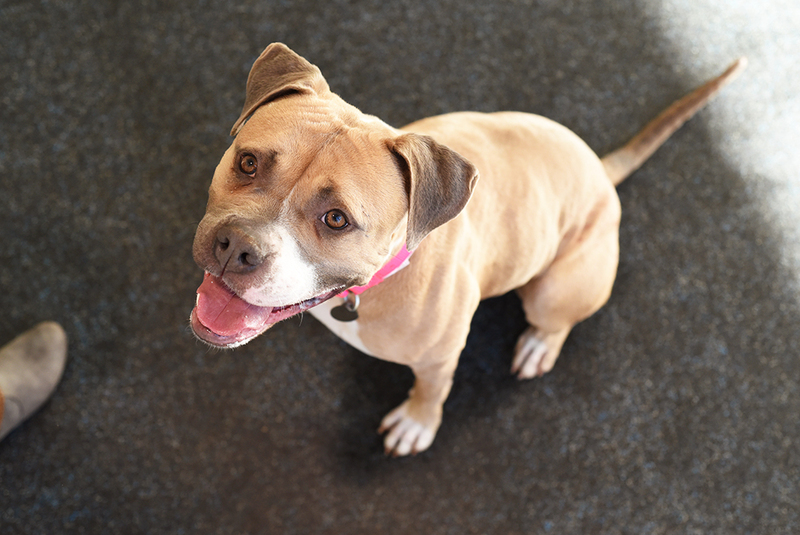 Dream home: Nala would love to find an active adopter who can spend some time teaching her new things and exercising with her. She can join a home with kids 10-and-up.